When robots and artificial intelligence (AI) were spoken about not too long ago, the context was often in the realm of theory. Despite advancements, they were always years away from impacting society significantly. That has dramatically changed in a short few years. From making sense of large amounts of data that humans cannot make sense of to powering robots to do the physical work that humans are unable to perform, AI is making a difference like never before. Today’s AI is used in cyber defences to detect suspicious activity that might point to an intrusion. Similarly, a robot may be patrolling the perimeters of a building to be the eyes and ears for human guards to better monitor a situation. Outside of security, AI and robotics have the potential to transform lives and businesses. For consumers, AI is most common in the virtual assistants and chatbots they use every day to get their music played or questions answered. In business, AI is making it possible for manufacturers to detect anomalies in production to root out problems early on and increase yield. It is providing insights to marketers to better target their campaigns. In every industry, it has become a central part of any transformation effort. Indeed, so important is the technology that research firm IDC predicts that it will support 40 per cent of digital transformation initiatives around the world by 2019. In Asia-Pacific, AI is seen as a catalyst for growth as well. IDC expects digital transformation to contribute more than US$1 trillion to the region’s total gross domestic product (GDP) by 2021. Robots have been used for a long time, and became popular in the 1970s and 1980s in Japan. Car manufacturers used these machines, which looked nothing like the humanoid forms seen today, to weld pieces of metal or spray paint. However, they performed a single job and did not have the ability to learn. While many robots today still perform a single job, they are a lot more complex. For example, they are able to navigate and patrol an area, and bring a live view of a situation through its sensors. Functions range from voice to video detection – all imperative as force multipliers providing an overview of the situation. Especially in countries facing a labour crunch, robots can be the difference between securely guarding a place and not doing a good job of it. Today, Singapore-based company OTSAW has built a robot that integrates AI, self-driving technology and Big Data analytics in one machine. Called OR-3, it promises to increase productivity at a reduced cost while enhancing security operations. “Robots will be smarter overtime as they are being broadly deployed. 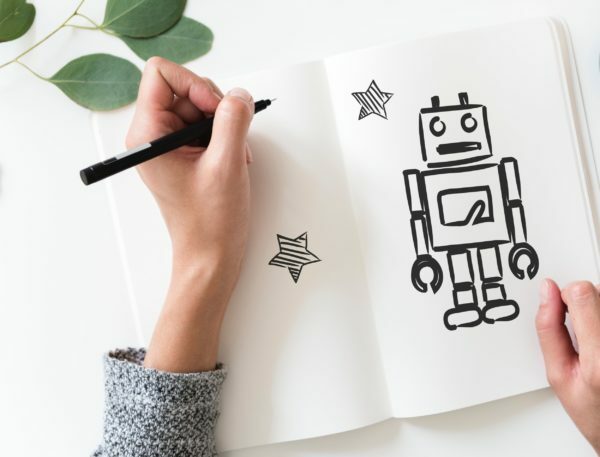 More data is being collected and machine learning allows robots to evolve and be more intelligent,” said Ivano Gagge, a product marketing specialist at OTSAW. “Robots can be widely used to solve difficult problems we face daily. We’ll solve problems we have never thought about before and also drill into problems that are more complex and complicated which we cannot resolve today,” he added. Compared to the past, many of today’s technologies draw on the vast computing power and troves of data on the cloud that were once not available. This gives AI the ability to learn. Much of how AI and robotics develop in the coming years hinges on how they learn to interact with humans. This is key to expanding its reach and deepening its impact swiftly. In May 2018, Google demonstrated an AI making calls to unsuspecting companies to schedule an appointment at a hair salon and booking a table at a restaurant. The AI sounded like how a human would speak, with pauses in between, and the humans on the line were none the wiser that they were speaking to a machine. Though this was a demo, it sparked a lot of interest in how well developed AI is today. Indeed, by fooling humans into thinking they were communicating with another human, AI may have passed the much-talked-about Turing Test coined by research Alan Turing in 1950. However, many of today’s chatbots are still unable to answer out-of-the-ordinary questions. And Google’s Duplex AI, used in the demo, is still limited in terms of the social interactions it can engage in. What one can bet on, though, is that AI will improve. There will be more data for it to learn from, plus there will be more users adopting the technology and thus driving its development. Until recently, AI was expensive business, confined only to big companies that could afford the research or investment. That is changing with cloud companies providing AI as part of their cloud offerings. Microsoft, for example, has solutions that enable its cloud customers to quickly build up, say, a chatbot on their site, without extensive custom programming. The AI still needs time to learn from the data – typically questions and answers – but the learning curve is less steep now. This means more companies will be adopting AI in the near future. For many, the technology is already being used to transform they way they do business and integrated as a key component of operations. Visit NXTAsia2018 at Marina Bay Sands, Singapore from June 26 to 28 to learn more about AI and other emerging technologies that can boost your digital business transformation. Log on to www.NXTAsiaExpo.com for details and to pre-register your visit.